This new module in our online generator allows you to add newest entries to your dashboard. The idea behind this is that you get almost empty HomeController.php and empty home.blade.php file and you can then add anything you want, manually in Laravel code. Cause we cannot “guess” what you want to see on your dashboard. But recently our customers asked for ability to see newest entries somewhere in one view, like dashboard. 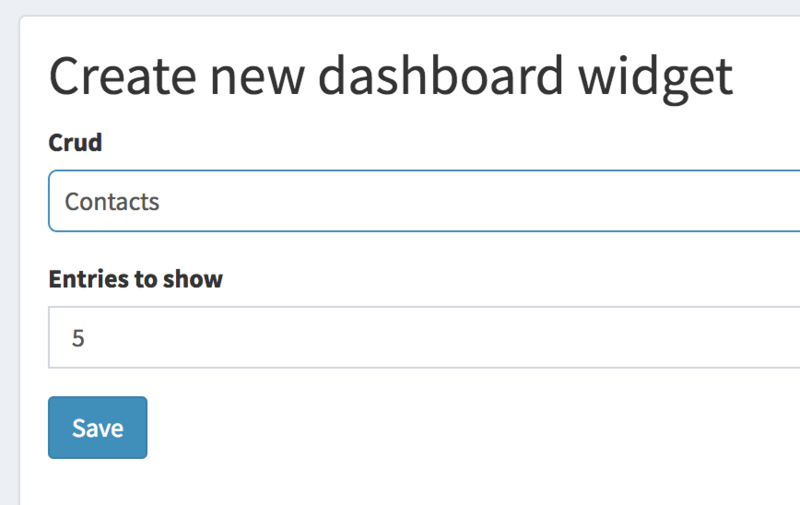 So here we go – new module “Dashboard widgets”. 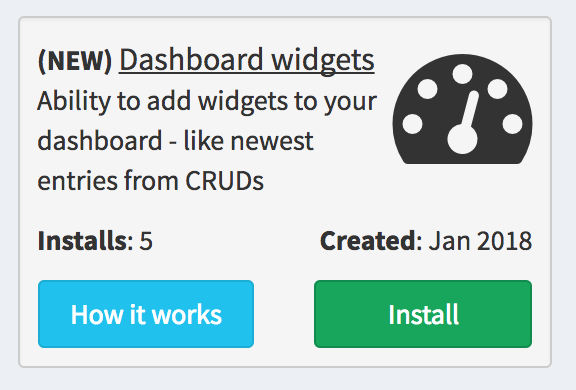 After you install the module, you will see a new menu item in your online generator – called “Dashboard widgets”. There you can add widgets, which won’t appear online but will be shown after you download the panel, install and log in. Each “widget” is, basically, one CRUD with newest entries – you can choose, how many of them you want to be shown (default is 5). Let’s say that you have 3 widgets created, with 5 entries shown. Here’s how it will look in your downloaded panel. So this new module will help you to see newest entries from the most important CRUDs you choose – like latest registered users or transactions. Log in to your QuickAdminPanel and check it out. hi povilas, we are using quick admin panel in our new saas project. we have agency plan. 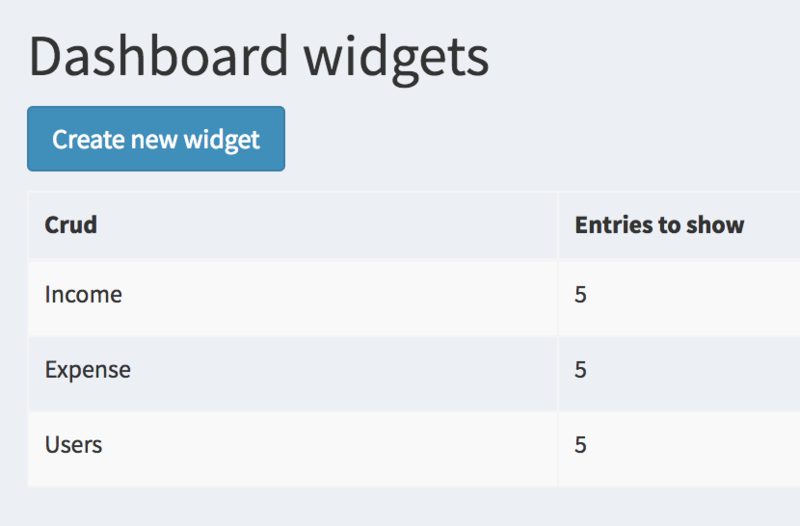 dashboard widget is a great module to generate dashboard with choice of fields. I am also using your new module ‘multi-tenancy’ to create different teams and users for a specific team. it’s working great. but i’m wondering how to get a different dashboard for a different user? now when any user login all has the same dashboard. but we want the user to have their specific dashboard. 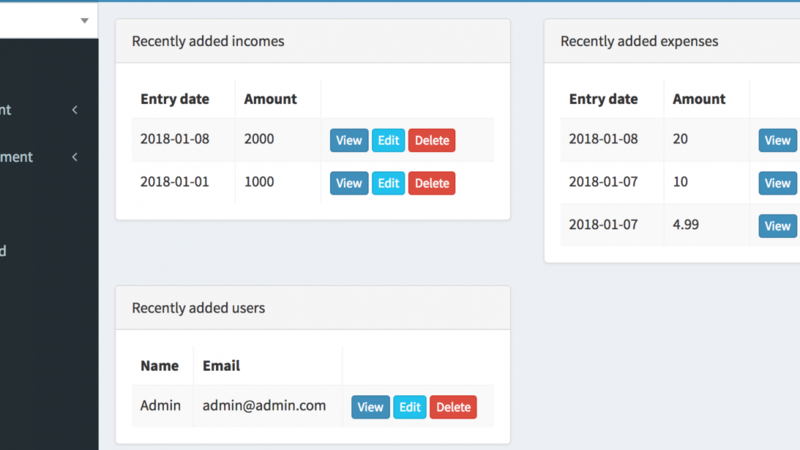 simple user dashboard should be different from the admin dashboard.